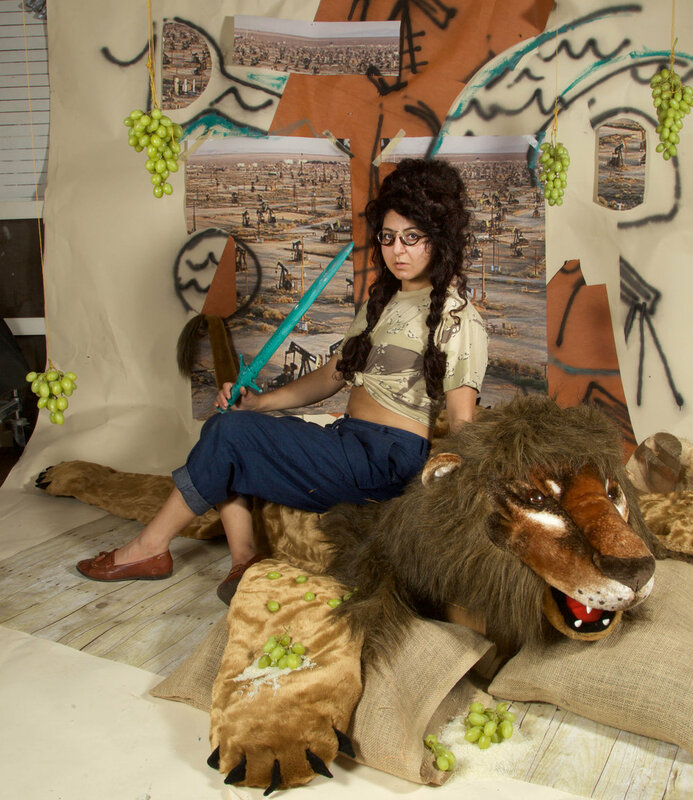 Sheida Soleimani is an Iranian-American artist, currently residing in Providence, Rhode Island. The daughter of political refugees that were persecuted by the Iranian government in the early 1980’s, Soleimani inserts her own critical perspectives on historical and contemporary socio-political occurrences in Iran. Her works meld sculpture, collage, and photography to create collisions in reference to Iranian politics throughout the past century. By focusing on media trends and the dissemination of societal occurrences through the news, source images from popular press and social media leaks are adapted to exist within alternate scenarios. Soleimani has participated in exhibitions in institutions including the Atlanta Contemporary, Atlanta, GA, the Craft and Folk Art Museum, Los Angeles, CA and the Contemporary Arts Center, Cincinnati, OH.